Colonel William "Butch" Blanchard was, according to many of the Roswell books, a key player behind the scenes in the recovery of the Roswell disk. A West Point graduate, Blanchard rose rapidly through the ranks during World War II, and by 1947 was considered a rising star in the Air Force. By 1966, he was a 4-star general, Vice Chief of Staff, and a "sure bet" for the Joint Chiefs. Unfortunately, he died from a massive heart attack at the Pentagon, cutting short his illustrious career. 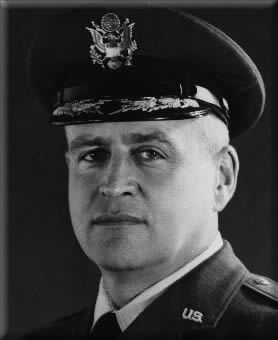 Despite his achievements in the Air Force, Blanchard is best known today as the Commanding Officer of the 509th Bomber wing and Roswell AAFB during the Roswell Incident. The Roswell Incident first became public when the now famous Press Release was sent out by RAAFB Public Information Officer Lt. Walter Haut on July 8, 1947. It is widely believed by many UFO researchers that Col. Blanchard had been ordered by the Pentagon to issue the news released as part of a carefully calculated plan to cover up the recovery of a real extraterrestrial spaceship and its alien crew. The news of a "Captured Flying Disk" prompted many reporters to try and contact Col Blanchard for comments, but all they got from his office, during the afternoon of July 8th, was that "no further details were available". By the the late afternoon of July 8, callers to the office of Col Blanchard were told that he had "left on leave"!! Roswell proponents have long claimed that this leave was just a ruse to get Blanchard out of the limelight while he commanded the effort to complete the recovery efforts and send the debris and bodies to more secure areas. This claim is based on surmise, and the comments from some of the witnesses interviewed by researchers. 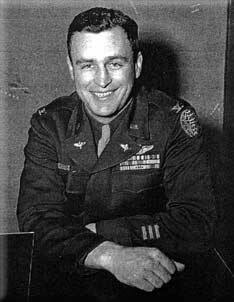 General William H. Blanchard died May 31, 1966.